Dave had his first comedy special air in Australia on ABC2, and has made appearances on Comedy Network’s Match Game, was a regular contributor on MTV Live, and can currently be seen as the newest cast member on CBC’s Mr. D. Dave won the Just For Laugh’s 2011 Homegrown Comic Competition and NOW Magazine’s 2011 Best of Toronto Award for Best Male Stand-up. In 2012 he was a part of the NBC Standup for Diversity tour, and a Canadian Comedy Award-nominee for Best Stand-up. 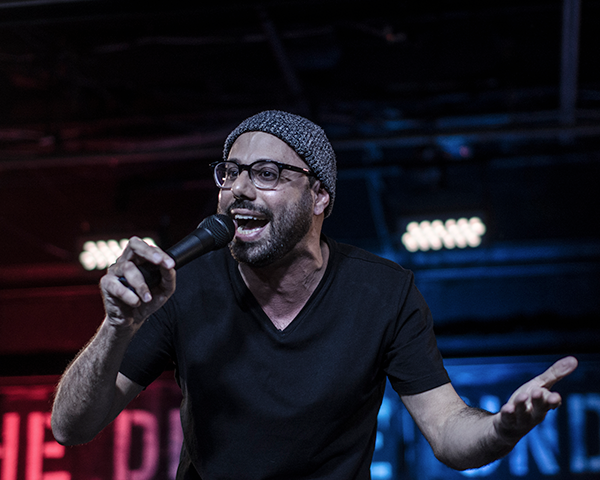 In 2013 he was nominated for another Canadian Comedy Award, this time for best taped live performance, and was a finalist at the Seattle Comedy Competition. Dave has made multiple appearances at the Just For Laughs Festival in Montreal, Winnipeg Comedy Festival, JFL42 in Toronto, the Halifax Comedy Festival, the Melbourne International Comedy Festival in Australia, and tours clubs and theatres regularly. In 2018 Dave released his comedy special “Good Friend Bad Grammar,” which is available on Vimeo, iTunes, Google Play, and Amazon Prime, and he recently shot a half hour special for Netflix which will be released in early 2019.